Senior LIFE (Living Independently For the Elderly) provides an often welcome alternative to nursing home placement. The organization offers essential services at their LIFE center locations and supplements those with home care services as necessary. “With this program, we find many seniors who want to continue to remain independent, and can, with the help of Senior LIFE,” says Ashley Fritz, sales and marketing coordinator for Senior LIFE. Service centers recognize and cater to the needs of seniors as well as their families. They can include physician and nursing services, physical therapy, social and recreational activities, meals, and much more. 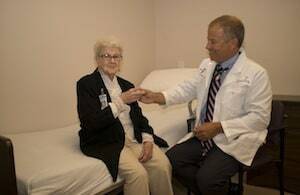 The LIFE program is available to people 55 years and older who are considered nursing facility clinically eligible by the Area Agency on Aging and who can safely live in the community. Senior LIFE has independently operated locations to serve Johnstown, Ebensburg, Altoona, Indiana, Uniontown, Washington, and Greensburg. Additionally, there are many LIFE providers in Pennsylvania, so there may be one near you even if you do not live in those areas. In other states, the LIFE program is known as PACE (Program of All-Inclusive Care for the Elderly). To find out if there is a LIFE/PACE provider near you, you can visit www.npaonline.org and search by zip code. To contact Senior LIFE, call 877-998-LIFE (5433) or visit their website at www.seniorlifepa.com.